Pays de la Loire is a region in the western part of France. The Pays de la Loire should not be confused with the Loire Valley, the place where most famous French castles are located (Loire Valley Castles). The Loire Valley is part of the region of Centre, while the Pays de la Loire is a distinct region with its capital city at Nantes. There are many old chateaux’s in the Pays de la Loire and they are worth a visit by the castle enthusiast. 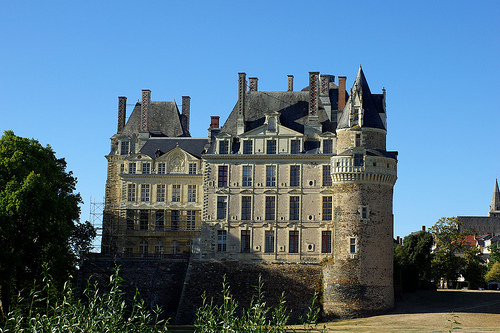 For example the Château des ducs de Bretagne was built in 1207 or the Château de Brissac was built in the 15th century. The Château d'Angers is one of the most beautiful fortified castle in the Pays de la Loire.